With an unknown reason, 6 girls. 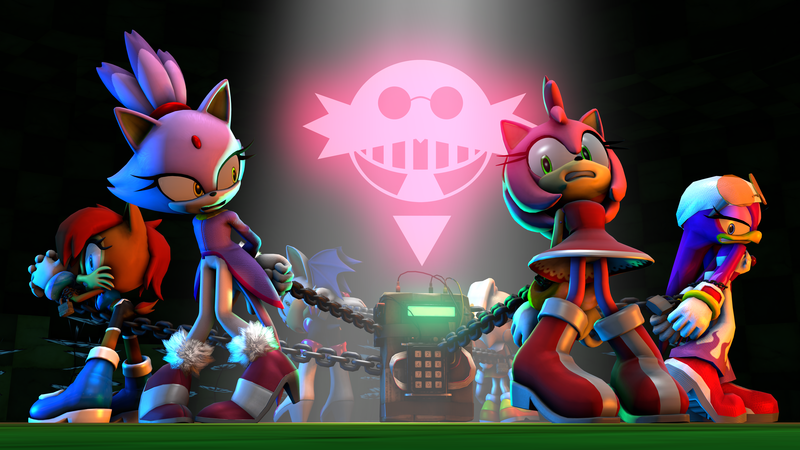 Amy, Blaze, Sally, Rouge, Cream, Wave. Was all chained up to the gigantic C4 Explosive. Time is ticking! Hurry up and get out. If you want to only pose them, Basically you just rotate, not move, Rotate tool is the only thing you need to pose them, Move tool is for positioning characters. :-) And ... good luck trying SFM. It's the easiest 3D software on earth. Which unfortunately means it'll turn some people away. ^^; Rotate, huh? I'll need to try that. Thanks. and.... Currently rendering more angles.